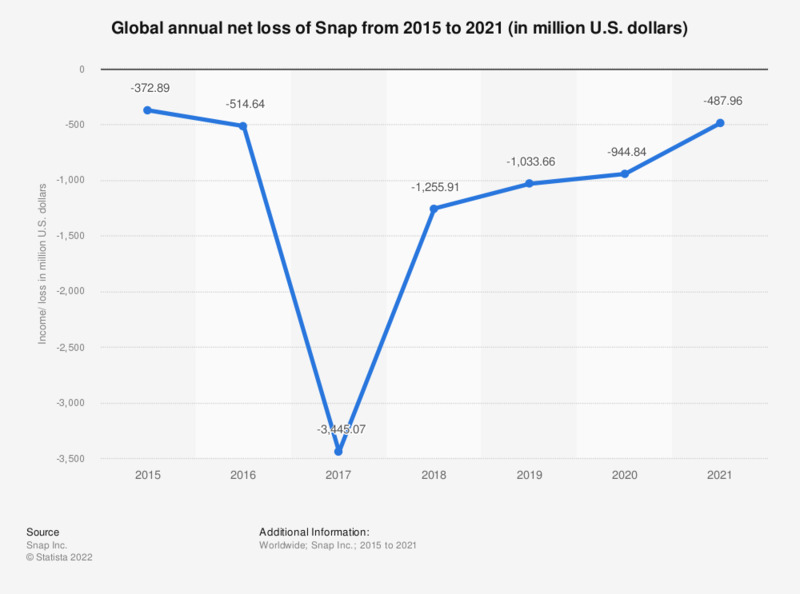 This statistic presents the annual net loss of mobile messaging platform Snap. In 2018, the chat app had generated -1.25 billion U.S. dollars in net losses, a decrease from 3.44 billion U.S. dollars in losses in the preceding year. The company was originally named Snapchat Inc. upon its inception, but it was rebranded on September 24, 2016 as Snap Inc. in order to include the Spectacles product under a single company.